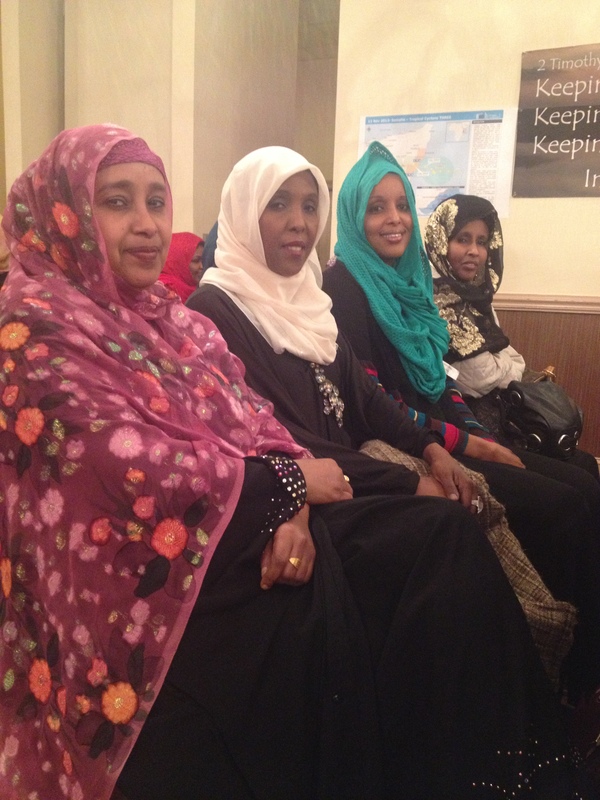 Somali-American women at a fundraiser in Falls Church, Virginia. The proceeds will be sent to Somalia via a money transfer service, as the other option is to fly there with cash. There are no banks in Somalia. A remittance may be the most common financial transaction you’ve never heard of. That’s what it’s called when an immigrant sends money to someone living in another country. More than a million immigrants call the D.C. region home, and the Inter-American Development Bank estimates 90% have made one of these money transfers. Last year, global remittances were valued at $530 billion. While using a money transfer service is just as legal as using an ATM, because it involves cross border transactions to places like Somalia, there’s a perception of risk. That’s led some banks in the US and Europe to close the accounts of remittance companies, which in effect shuts them down. This entry was posted in Money and tagged Metro Connection, WAMU. Bookmark the permalink.